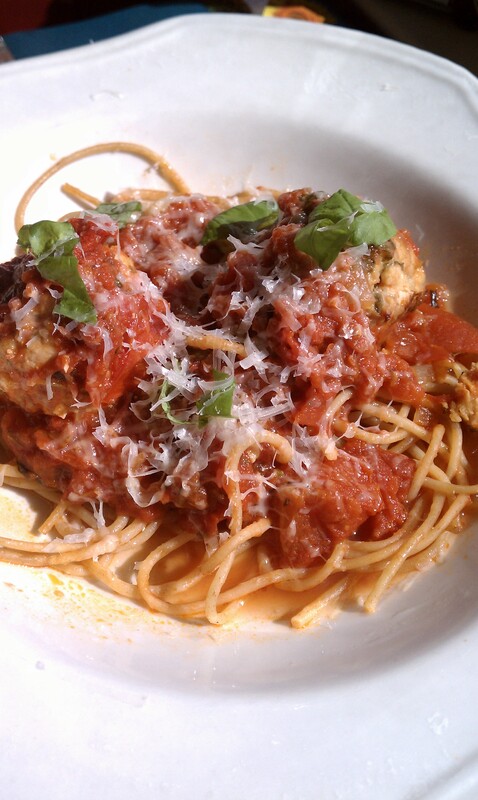 Posted on May 30, 2013 by elizabethloomis	• This entry was tagged Italian food, meatballs, recipe. Bookmark the permalink. Wow, that looks delicious. Wonderful picture. Was just thinking about dinner. We have so much going on with the end of the school year, this could be a great meal to fix ahead and come home to.